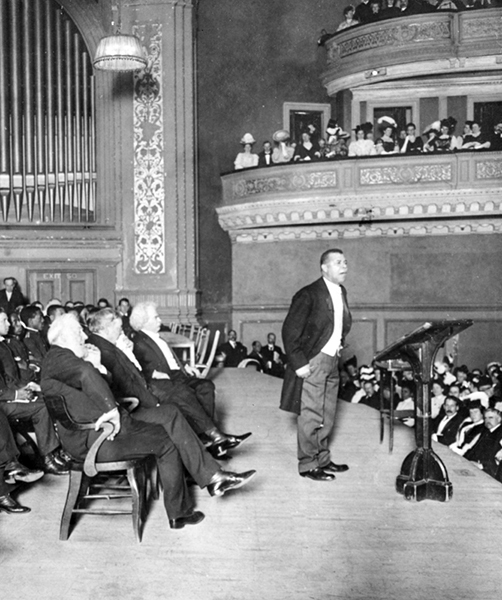 Educator Booker T. Washington delivers the Tuskegee Institute Silver Anniversary lecture at Carnegie Hall in New York City in 1906. Seated behind him is author and humorist Mark Twain. New York TImes Photograph. Public Domain.